Become an expert in workplace drug and alcohol testing. The risk of injury or damage to reputation through a drug and alcohol incident at work is real. Knowing how to manage the risk in the workplace and how to respond appropriately is pivotal for businesses from all industries. Getting the right training for you or your workforce that is designed to help you understand the risk and undertake testing effectively is essential. 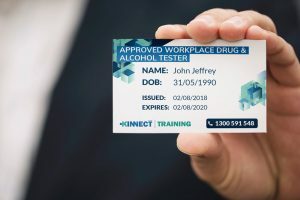 This KINNECT Training program in workplace drug and alcohol testing guides you through the maze that is workplace drug and alcohol management from policy and procedure implementation, understanding testing processes and equipment to workforce communication. This program is more than just learning how to test for drugs and alcohol. This is the path to becoming an expert in managing drug and alcohol risk. Book now through the links below, call 1300 591 548 or get in touch through our contact form. Class numbers are limited to ensure you get your questions answered and the learning outcome you need. NEW – includes the issuing of your personal Drug and Alcohol Tester ID card. Testing equipment specials – do your training with us and you’re entitled to great pricing on quality drug and alcohol testing equipment. KINNECT Training wants you to be confident and capable in your role in workplace drug and alcohol testing. If in the following 12 months of completing your course you would like to confirm your knowledge and skills you are welcome to come to any scheduled public face to face course for Workplace Drug and Alcohol Testing – it’s on us! Need Drug and Alcohol Testing Equipment? 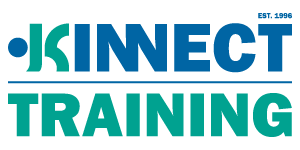 KINNECT Training is pleased to announce that we can assist with the purchase of high quality and reliable drug and alcohol testing equipment and have this available in the training program. Get familiar with the testing equipment you are going to use in your workplace. Call 1300 591 548 for more information. Study when it suits you. This course is also available in a blended format by completing online course theory through our learning management software. Once ready, either book a time for a face to face practical session or we can arrange for you to complete in your workplace with your supervisor*. This method of delivery allows you to get the valuable theoretical background and get to apply your knowledge in a practical way. Complete the online theory content and assessment right here (approximately 4 hours online, access anytime and complete when it’s convenient to you). *Supervisor requirements – the activities undertaken in the workplace need to be supervised by a person currently working in a collection role for at least 18 hours in a fortnight time period. A declaration of the activities being undertaken is required. As part of the commitment to you the student, if at any stage you feel the online is not what you are looking for you can switch into a face-to-face session. Successful completion of this Drug and Alcohol Screening course will result in the awarding of the nationally accredited unit of competency HLTPAT005 Collect specimens for drugs of abuse testing. This unit has been designed to specifically cater for drugs of abuse testing in the workplace and other settings such as hospitals and health care centres. Managing the safety and health of people at work can be challenging, costly and time consuming and could have direct cost impacts through reducing the chance of a workplace incident. Being able to quickly and effectively deliver or manage Drug and Alcohol Screening programs allows workplaces to significantly impact the health, safety and wellbeing of your workplace. Having the right skills and knowledge to deliver and arrange these programs is imperative. This course is suited to those people wanting to be able to perform drug and alcohol screening at their workplace or provide testing services to industry. This course will help improve your understanding of the drug and alcohol screening process, legislative requirements and process for developing / implementing a workplace drug and alcohol testing program. Get started now and study when it suits you, online theory with face to face practical when it suits you. Get your group started now and study when it suits, online theory with face to face practical arranged to suit. Is this Workplace Drug and Alcohol Testing Course recognised in different industries? Successful completion of this program results in the Nationally Recognised Unit of Competency HLTPAT005 Collect Specimens for drugs of abuse testing. It is resognised across all industries. Can I do workplace drug testing throughout Australia after I finish this course? Yes. It is recognised in all states. How long does it take to get my certificate for Workplace Drug and Alcohol Testing? KINNECT Training works in conjunction with Trainwest (RTO 51807) and we aim to have Statements of Attainment issued within 48 hours. If you have an urgent need for the qualification to be issued please let us know in advance and we will do our best to assist. Do you sell drug and alcohol testing equipment? KINNECT Training can assist with the purchase of drug and alcohol testing equipment including urine test cups, saliva test swabs and breathalysers.  KINNECT Training partners with Drug Test Equipment for the sale of all equipment needed for workplace testing programs. We can even make sure the equipment that you need for your testing program is available in the training program so you are confident with all equipment when doing your testing. Go to www.drugtestequipment.com for more information. Does this course have an expiry date? No, there is no expiry date set on this qualification but it is expected that all people maintain currency in performing this work to be deemed a competent workplace drug and alcohol tester. Do I need to do a refresher course? This depends on the work that you are doing and the professional development you are getting. We recommend a refresher program be completed every 2 years if your exposure to workplace drug and alcohol testing is limited. What types of drug and alcohol testing is included in this program? You will be trained in performing breath alcohol, oral fluid drug tests and urine fluid drug tests. What is the blended delivery program? This type of program delivery allows you to complete the theoretical component online and undertake the practical component at a time and place that is suitable for you. This includes our network of clinics around Australia including Cairns, Townsville, Mackay, Rockhampton, Gladstone, Sunshine Coast, Brisbane, Gold Coast, Sydney (Mascot and Macquarie Park), Melbourne and Perth. Webinars can also be completed with a KINNECT Training Assessor to complete the practical and introduce you to the processes of testing. A competent workplace Supervisor may also be able to witness your practical component. Where and when can I complete the practical session? You will need to contact us on 1300 591 548 to arrange a suitable time for yourself and the Assessor. Our large network of qualified Assessors means that we can offer a variety of options to complete this component. We have clinics in Brisbane, Sydney (Mascot and Macquarie Park), Melbourne, Perth, Cairns, Townsville, Mackay, Rockhampton, Gladstone, Sunshine Coast and Gold Coast. What platform is used for the webinars? KINNECT Training uses the webinar platform Zoom . If your organisation has another platform that is needed to be used due to IT security please contact us to discuss. Is there support available when completing the online component of this course? Absolutely. You can access a trainer at any stage via the message feature in the learning management system, by direct email or phone support is available.